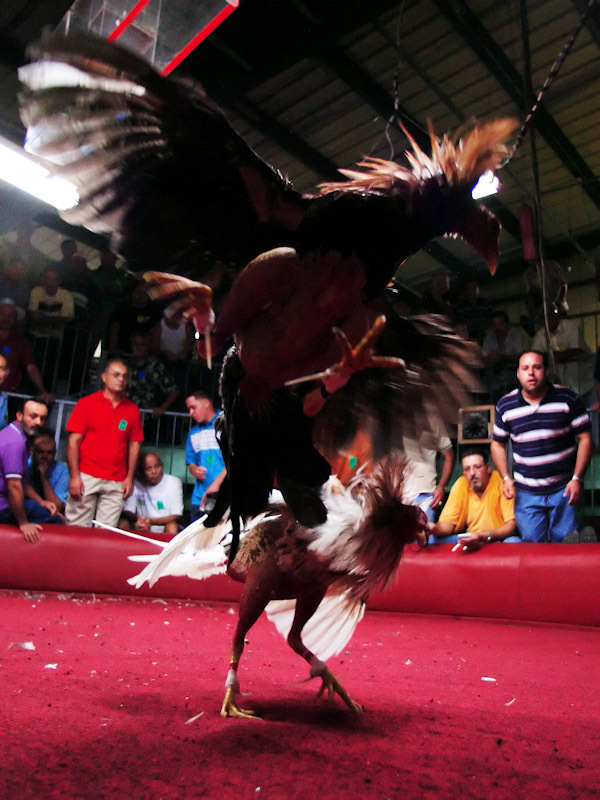 Spectators cheer on the Fighting Roosters on opening night of the Cockfighting season at the Coliseo Central De Barranquitas on November 11, 2006 in Barranquitas, Puerto Rico. Heavy betting between the fans are made before and during the fights. Most of the time multiple bets are made by one person of up to several thousand dollars. all bets are paid off in cash at the end of each fight.